Aarrgh! It’s creeping up on you…you can feel it…it’s reaching out to grab you like a thousand spindly fingers…it’s COLLEGE APPLICATION TIME! Application due dates for each school. Any other paperwork you’ll need or deadlines you’ll have to meet (financial aid, etc). Letters of recommendation you’ll need and who you’ll ask. Work backwards from each deadline or task and decide when each one needs to be completed. **IMPORTANT: Give yourself twice the amount of time you think you’ll need. Trust me on this – everything will take longer than you think. You’ll need both a virtual and real filing system for each school (for email and snail mail). You might also want to try Evernote, which is an easy way to access photos, documents and notes from any computer you’re on (it’s free). Don’t want your parents bugging you? Take the initiative and stick to your schedule. 2.Pick a Range of Colleges You Like and Will Like You. Be realistic when you’re putting together your college list. It’s great to have one or two reach schools, but make sure to include schools that you like and that are likely to admit you. 3.Look for Schools that are Test Optional. ACT and SAT scores not your thing? Over 850 colleges are test optional. These schools believe that a combination of grades, recommendations and extra-curricular activities will give them a better picture of how you’ll do in college. For a complete list of schools that are test-optional, go to FairTest.org. 4.Don’t Wait Until School Starts to Write Your Essays. You’ll have homework, homecoming, applications and activities — how are you going to have time for all those essays? (No, you can’t write well without sleep.) Start your college application essays during the summer, when you have time to think and write. This goes double if you’re applying early — you may have several supplemental essays due November 1. Plan ahead and put those deadlines on your calendar! 5.Don’t Talk to Other Students About Your College Applications. This is a MAJOR stressor. Your friends come up to you and want to know what your essay topic is, or where you’re applying, or why you haven’t heard yet since they‘ve all heard. It’s easy to compare yourself to other students, but DON’T GO THERE. Enjoy the search and be confident that you’re applying to the schools that are right for you. When friends ask if your application’s in or your essays are done just say, “It’s coming along, thanks.” Then change the subject. Eventually they’ll get the idea and stop asking. 6.Get Moving. Ride a bike, go for a run, take the dog for a hike. Spend a few hours not thinking or talking about college. You’ll think better and you’ll feel better, too. 7.It’s YOUR College Tour. Enjoy! You’re on a shopping trip. Keep your eyes off your texts and on the sights. Talk to the tour guide and the students you meet – ask them what they’re studying and what they love about their school. Then try to imagine yourself as a freshman on campus heading to class, the dorm or to dinner. See if your gut says you want to spend the next four years there. 8.Remember That Your Parents Want the Best for You: Your parents helped get you this far in life and they’re probably going to be a bit protective. It might scare them to think that you’re leaving home or even make them sad. So if they hover over you or ask tour guides embarrassing questions, take a deep breath and remember that they just want what’s best for you. 9. Don’t Narrow Your Options Too Quickly. 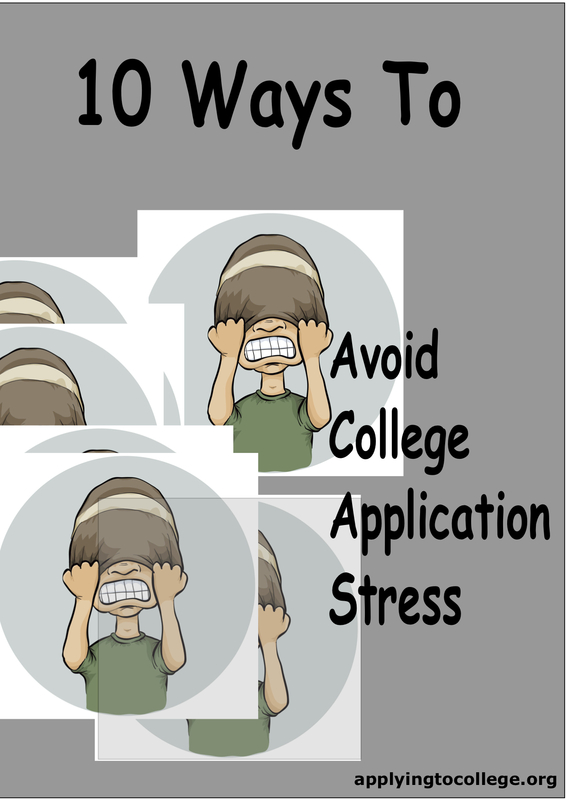 (The College Helper suggested this tip when they commented on my last post, “7 Tips for Parents to Reduce College Application Stress.”) Some students get focused on attending a particular type of university – a large state school, for example – and never look at private universities or other schools that are outside of what they ‘think’ they want. Take time to explore – you can’t really be certain about what you want until you know what the other types of colleges are all about. 10. If You’re Overwhelmed, Ask for Help. Never be embarrassed to ask for help. Guidance counselors, teachers and private professionals can answer questions, guide you through the application process, provide feedback on your essays, and work with you on achieving your deadlines. Help is out there – you just have to ask for it. 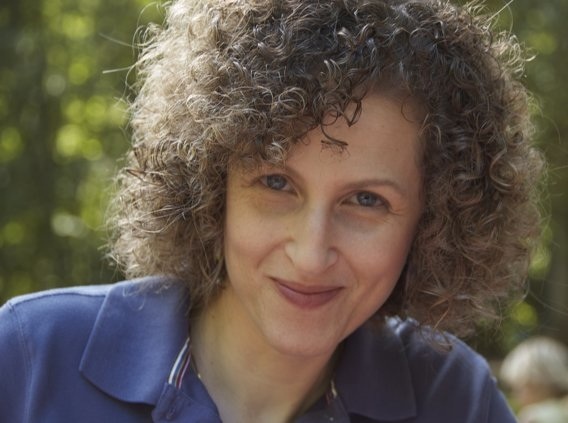 Categories: Application Process, How to Avoid Essay Stress | Tags: applying to test optional schools, avoid college application stress, evernote, FairTest.org, first impressions college consulting, how to reduce college application stress, organize your college search, sharon epstein, when to start college writing the application essay | Permalink.